Solutions Review is proud to announce an all-new resource update for comparing endpoint protection platforms: the 2019 Endpoint Security Buyer’s Guide. Solutions Review developed this buyer’s guide to assist enterprise decision-makers find the best possible products to fit their cybersecurity needs. As such, The 2019 Endpoint Security Buyer’s Guide features 10 important questions and outlines 6 critical capabilities for modern endpoint protection platforms. Most prominently, the guide features full, one-page vendor profiles which provide a solution overview, three key features, contact information, and our own ‘Bottom Line’ analysis for each. 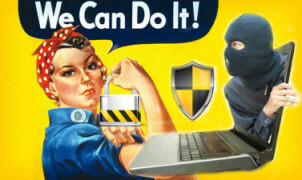 The top providers highlighted in the 2019 Endpoint Security Buyer’s Guide include Bitdefender, Carbon Black, Check Point, Comodo, CounterTack, CrowdStrike, Cylance, Druva, FireEye, Forcepoint, Ivanti, Kaspersky Lab, LogMeIn Central, Microsoft, Palo Alto Networks, Panda Security, RSA Security, SentinelOne, Sophos, Symantec, Trend Micro, and Webroot. Endpoint security solutions work to identify and prevent malware and other digital threats from entering business networks in the first place. At minimum, this entails providing anti-malware, which in next-gen endpoint security involves signatureless detection delivered either on-premises or via the cloud. In this way, endpoint security functions as a network traffic regulator, monitoring incoming and outgoing data and denying unknown actors from entering. Further, it works to prevent enterprise data loss by regulating what information leaves the network and preventing malicious transfers. However, as the cybersecurity paradigm shifts from one of prevention to one of detection and remediation, endpoint security providers continue to adapt. Endpoint detection and response capabilities (EDR) add critical threat detection and security alerting to endpoint protection platforms, signaling continual evolution in the market. 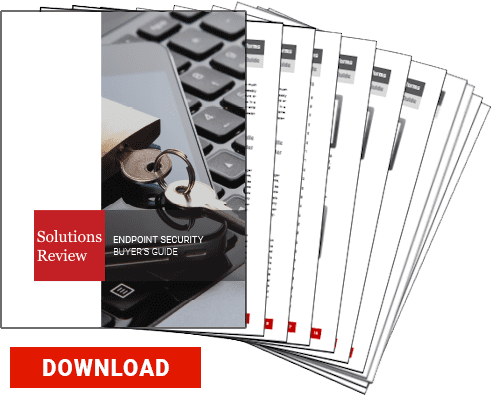 Download the full Solutions Review 2019 Endpoint Security Buyer’s Guide, available for free, here. 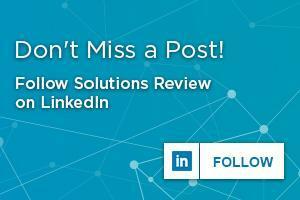 Solutions Review is a collection of technology news sites that aggregates, curates, and creates the best content within leading technology categories. Solutions Review’s mission is to connect buyers of enterprise technology with the best solution sellers. Over the past four years, Solutions Review has launched ten technology buyer’s guide sites in categories ranging from cybersecurity to wireless 802.11, as well as mobility management, business intelligence and data analytics, data integration, and cloud platforms.